Need some last minute 4th of July color for your house? 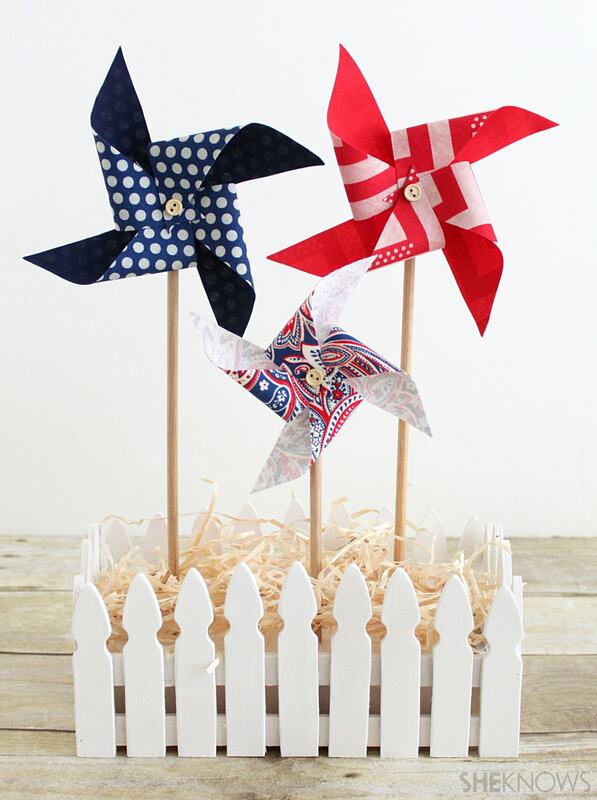 These fabric pinwheels are so easy to make and make great 4th of July decor. And don’t you just love the little picket fence box? I saw that at the craft store and knew it would be perfect to hold them! I’m excited to be a new contributor for a site called She Knows, so head on over there to get the pinwheel pattern and see the tutorial. Got any big plans for 4th of July? Hope you have a good one!